Basing your business out of a home office doesn't have the same impact on potential new clients as a prestigious CBD address. Many of your potential target customers could be put off when they see that your mailing address is in the outer suburbs of Brisbane. Test us out for 2 months at half price. You have very little to lose? For a relatively small annual fee (equal to $49 per month) you can have a mailing address in one of Brisbane's most prestigious CBD buildings. You get many of the benefits of a physical office for only a fraction of the cost. When you set up a physical office there are a whole range of costs that you will be up for. Firstly you will need to pay a bond to the lessor and this could cost you up to 2 months rent. You could then be up for various bonds for your electricity, telephone or other utilities. On top of this you will need to purchase office equipment and furniture that match your new office. All up you could be up for tens of thousands of dollars and that is even before you get started trying to bring in customers and generate revenue. Wouldn't it make more sense to spend that money on building your business rather than all of these fixed costs. So Why Pick A Mailing Address Over A Physical One? Our Brisbane virtual offices are right in the centre of the city. They truly are a prestigious Brisbane CBD address. They are sure to impress. If you need to meet with your clients then what better place to do that than at your very own CBD address. We have very affordable meeting rooms that you can book by the hour half day or day. There are no big deposits or bonds that need to be paid. Think of the money that you can save and then redeploy into generating new customers for your business. With a Brisbane mailing address you can actually work from anywhere that you want. If it's a nice day you can head down to the beach or up to the mountains. A virtual office is really a cloud based solution. Why settle for just one mailing address. We have prestigious addresses all over the country. We can provide you with a virtual office in Sydney, Melbourne, Adelaide, Perth or Hobart as well. First impressions really do count. You can use your new address on all of your marketing material including your website, your business cards and your brochures. Your customers will definitely be impressed. 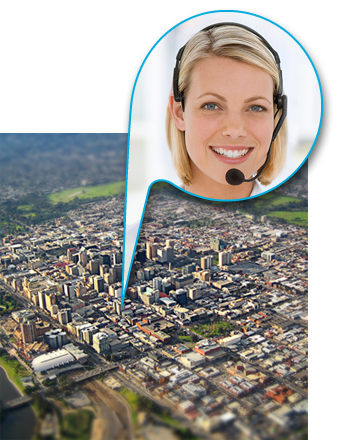 Once you have your virtual address, why not also sign up for our virtual receptionist service. From as little as $20 per month you can have a virtual receptionist on hand to take all of those calls that you are not available for. We can focus on answering your calls while you focus on generating more business and building your new business. How does virtual reception work? What do the receptionists say? It depends on how much you use it. Small customers can pay as little as $20 per month while the average customer pays $50 - $60 per month. Give one of our friendly sales representatives a call on 1300 893 820. They will be happy to talk you through the process. You can get on with growing your small business while we take control of answering your calls in a responsive and professional manner.